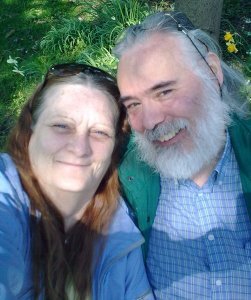 Juanita and Roland Clarke met online playing Perfect World and fell in love although separated by land & sea. Now they live together in Gwynedd, Wales. Juanita is a retired nurse and multi-tasking mother. Roland is a journalist-photographer who has turned his mind & pen to writing fiction. Being something of a romantic ruin myself, I was moved by this tale of love. Top of the day to both of you on behalf of all of the members of The Ragged Society of Antiquarian Ramblers. Huzzah to Juanita and Roland!